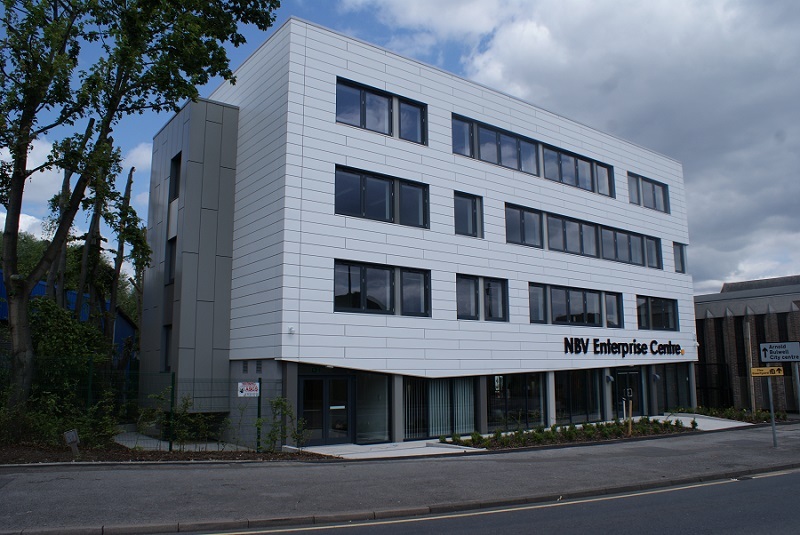 The NBV Enterprise Centre Project was a radical refurbishment of a dilapidated four storey office building in Basford, Nottingham. 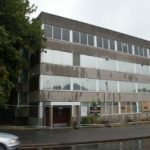 The project has seen the building completely stripped back to its original concrete frame, and involved a mix of demolition works, of which over 90% has been recycled off site. 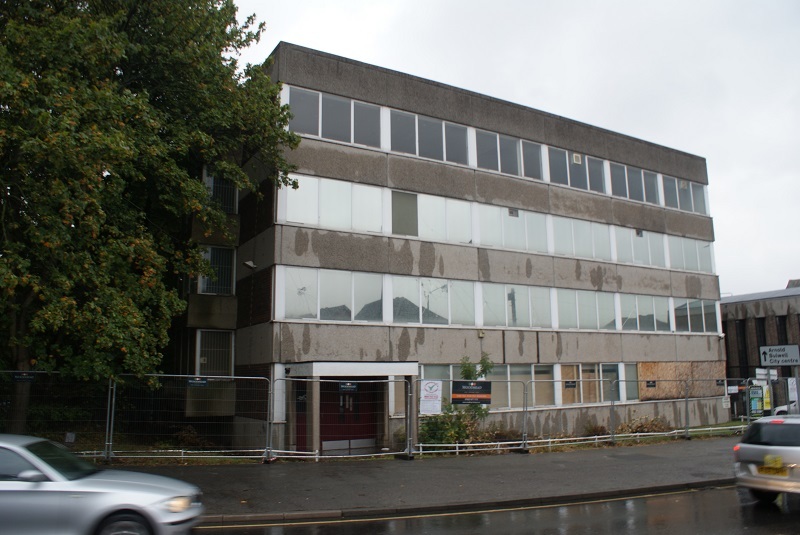 (Demolition works included the removal of a north facing office block which was in a poor state of repair). 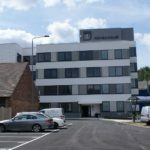 Externally, every single window of the four storey building was removed and replaced, and the facade dressed in a highly insulated sotech cladding system to upgrade the visual appearance of the building, creating a contemporary focal point in the community. Internal works commenced once each floor was secure and weather tight. 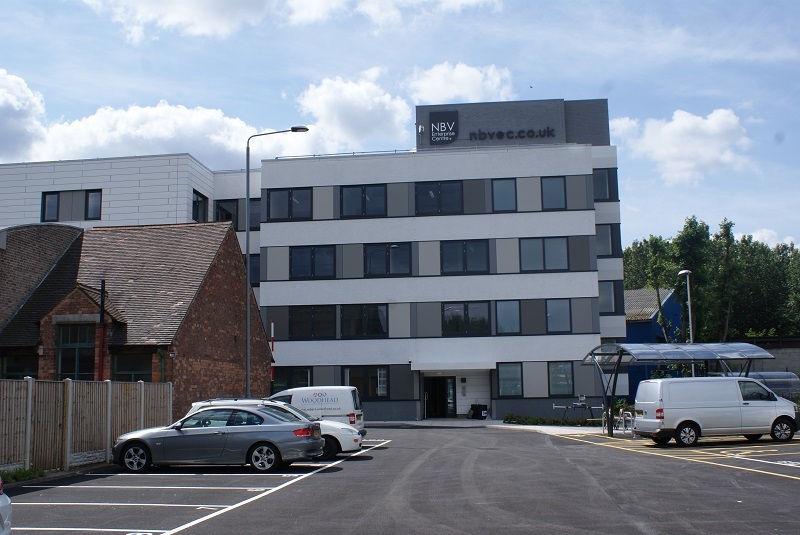 Over 25,000 square feet of space was transformed into a mixture of modern offices, conference and meeting rooms, training suites, a Wi-Fi enabled Café and a state of the art media studio. The first Considerate Constructors Scheme Site Visit achieved a 38/50 score. The final visit achieved the goal of 40/50 – with overall compliance being excellent. 90% of demolition works were recycled off site. Bringing back into use a vacant and derelict old building, contributing to the regeneration of the area. The age and era of the building: Buildings from this era used a lot of concrete in its design to reinforce the structure (a lot more than typically seen today). This starts to create a host of logistical challenges that you wouldn’t normally face when undertaking a refurbishment project, and as a result requires an extensive amount of demolition works to get the building to a point where internal works can commence. The electrical wiring of the building: Due to the sheer amount of concrete and the awkwardness of the original design, it meant extra measures needed to be implemented when rooting the wiring around the building. Where archetypally holes would be cut to facilitate wires, the concrete rendered this impossible in some areas of the building. Daily site and traffic management: On the fringe of a busy residential area, the site was bounded by David Lane to the south and the NET tramline to the east which are both the potential source of congestion. The mismanagement of site traffic and deliveries would result in constantly queuing traffic across both site entrances all day long. Reducing waste: Due to the demolition works there were over 200 tonnes of concrete that needed removing. Robert Woodhead Ltd ensure that they carry out all their practices in an environmentally friendly way. So to protect the environment, time and consideration was spent identifying which materials could be reused to reduce waste. Due to the sheer volume of concrete this was a very time consuming challenge! Traffic: David Lane, Basford, is a busy and populated area of Nottingham and it was vital that the impact of the works on the users of this main road was minimal. To ensure there was no interruption the Woodhead Living team engaged in considerable dialogue with the NCC highways department regarding the access to the site. Working closely with the NCC meant that deliveries could be planned to ensure they were made outside of peak times, and therefore did not cause disruption to the traffic and the surrounding neighbours. Not only this, but there was considerable interaction with the local community throughout the project, keeping them updated with the progress and schedules to guarantee nominal impact to the public. This was done through newsletters and online content such as YouTube. 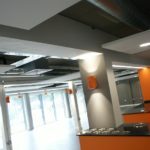 Work was carried out in line with the Considerate Construction Scheme. This ensured that the building site would; Care about appearance, Respect the community, Protect the environment, Secure everyone’s safety and that The Workforce would be valued. Wiring: When completing the electrical wiring around the building certain areas were difficult to access due to the concrete structure. Specialist concrete cutting equipment was used to cut holes in to the structure to enable the rooting of wires. In areas where this was an impossibility panelling was fitted to the structure, to case the wiring. The panelling was incorporated into the design of the building to ensure it maintained its new contemporary looks. 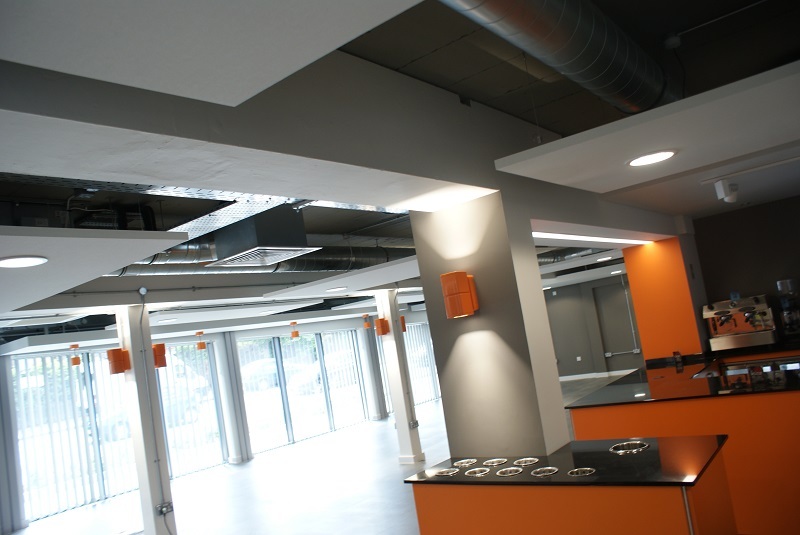 Interior: To manage the awkward building layout and the high levels of concrete the interior was completely gutted. This then acted as a blank canvas for the Woodhead Living team to bring the architects work to life. 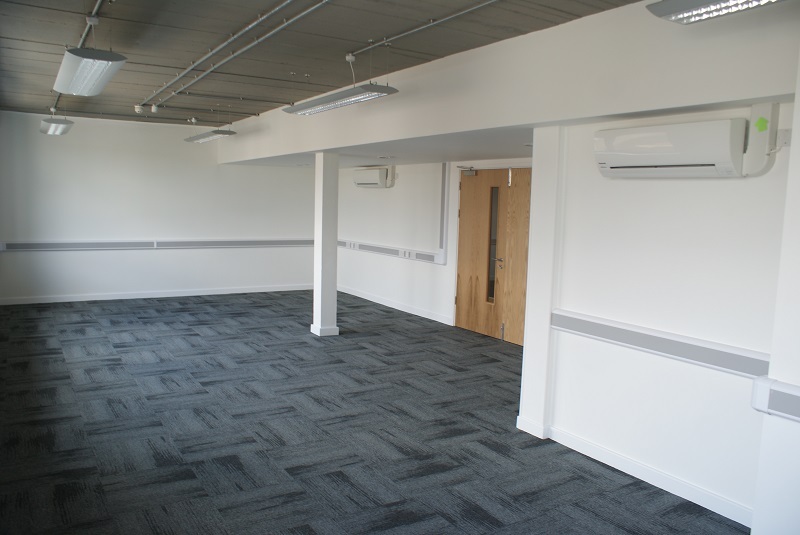 The team restructured the interior throughout the building, and fitted new insulation to improve the thermal performance of the building. Exterior: The building itself was run down, through years of neglect, becoming an eyesore to the local community. 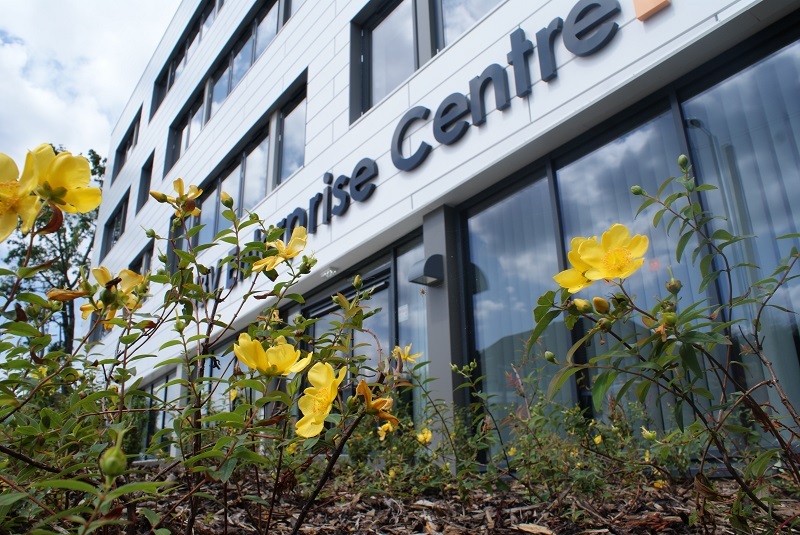 To give it a brand new redesign, an off-white cladding board was used to provide a vibrant, fresh new face to the building. The new window panels were designed to give the block a sculptural, solid feel, with different toned vertical strips animating the facade, giving each section of the building its own unique feel. 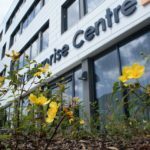 The project that we are doing here in this building is all about community engagement and it’s been fantastic to see Woodhead’s embrace that. They’ve worked with local residents, they’ve worked with the local church to really make the whole refurbishment a fantastic project. You’d probably expect me to say Woodheads have been fantastic, but that is not just saying it, it is genuinely meant. 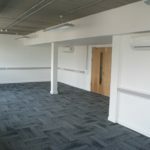 It was a fierce competition that they went through with many other building firms to be the successful appointed contractor and they were the lucky chosen one at the end.